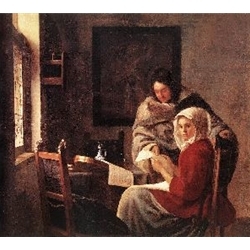 Jan Vermeer of Delft, also known as Jan Vermeer or Johannes van der Meer, is considered to be one of the great Dutch masterpainters. However, his work was forgotten after his death in 1675. It was not rediscovered until the late 19th century.